The item I share with you today is on My Dream Wish List for quite some time. It is a real classic that's been around since 1924. Can you guess what it is? 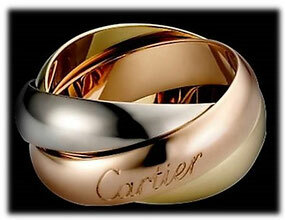 It is the Trinity de Cartier Ring. The original in white, yellow, and pink gold. Given the fact that it is on the market for almost a century there is no denying of its timelessness. Besides its design, what I like almost as much, is the story behind this ring. 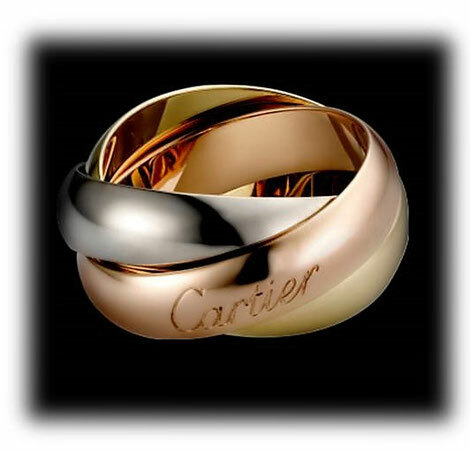 The ring created by Louis Cartier symbolises different aspects of relationships. Each of the three of gold bands has it own meaning: pink for stands for love, yellow for fidelity, and white for friendship. It may sound a bit kitschy to some of you, but I love the message the ring embodies. Do you like the ring and its meaning as much as I do?